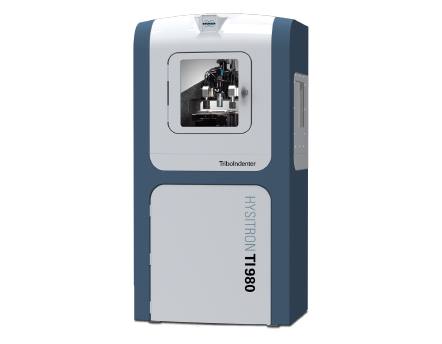 The Hysitron TI 980 TriboIndenter is Bruker's latest, most advanced nanomechanical test instrument that lies at the intersection of maximum performance, flexibility, reliability, usability, and speed. The TI 980 Nanoindenter is the next-generation of Bruker's renowned Hysitron TriboIndenter product family, building upon decades of technological innovation to deliver a new level of extraordinary performance, enhanced capabilities, and ultimate versatility in nanomechanical and nanotribological characterization. • Ability to adapt to your future characterization requirements.